As you may have noticed, my posting has been downsized quite a bit–to say that I have been busy is a tremendous understatement. Summer time has proven to be more rushed than the regular school year. Between chauffeuring my children to various activities and the daily trials and tribulations of family life, blogging has taken a back seat. So for today’s post (written from the comfort of my bed at 10:00 pm) I would like to present my Current Favorites and some other impressive goodies that I have recently discovered. I hope you find this helpful. Mally Perfect Prep Poreless Primer has to be the most amazing product ever invented. I have had this primer for six days and I swear, it is the best medium to use with Cover FX Custom Color Drops. The slight peachy coloring of this primer diffuses the color intensity of the drops. The mousse-like texture feels lightweight and leaves skin silky smooth. Mally Poreless Face Defender is used in place of any setting powder. According to Mally, all translucent setting powders are not colorless, have the potential to look caky, and appear especially unforgiving in the presence of flash photography and HD cameras. This clear setting “powder” (solidified silicone gel) works it’s witchy woo to eradicate shine on contact and for concealing pores. Ladies, not only do I wholeheartedly adore this product, but I think Mally is a total genius. 🙂 Review on my Mally products are in the works. Cover FX Custom Color Drops (reviewed here) are either loved or hated. They work brilliantly for me with the Cover FX Illuminating Primer and even better with Mally PPP Primer. I have used these drops for three months and I have discovered (on dry my skin) the formula does not give optimum results when mixed with oils or sunscreen. Furthermore, the application of serums, heavy moisturizers, or skin treatments prior to foundation application compromises the performance of the foundation. Currently for summer, I apply a thin layer of sunscreen, pat off any excess with a tissue and then apply the foundation on top. The main issue with these drops is the packaging. The accumulation of excess foundation at the opening is a function of poor design. According to the company representative, Cover FX will be introducing a scraper attachment on newer bottles currently in production. Apparently, the scraper will aid in cleaning excess product before the liquid gets a chance to collect around the opening. I’m not completely convinced this is an adequate solution, but only time will tell. Wayne Goss 01 Brush (reviewed here) works beautifully with the Cover FX drops. The firmly packed natural base bristles are perfect for pressing foundation into the skin for maximum coverage. The soft raised synthetic bristles diffuse the color for even coverage. This multi-purpose brush also blends out my cream highlighter and applies blush beautifully. Josie Maran Enlightenment Illuminating Wand (review here) has been my go-to highlighter as of late. The light golden hue compliments a summer tan beautifully. MAC Pressed Amber (discontinued) is an oldie but a goodie. The warm tan rose color pairs perfectly with my highlighter. I actually discovered patting the blush slightly over the JM Illuminator gives Pressed Amber a lovely glow and makes the color last longer. The combination of these two products produces the most realistic sun-kissed effect. Laura Mercier Caviar Sticks (reviewed here and here) or any long-wearing eyeshadow stick have been on constant rotation since their discovery. I simply cannot bring myself to wear anything else on my lids during these warm months. All the brands in my collection (Chanel, LM, Trish McEvoy, Mally Beauty) deliver all day wear without creasing, fading or transfer. 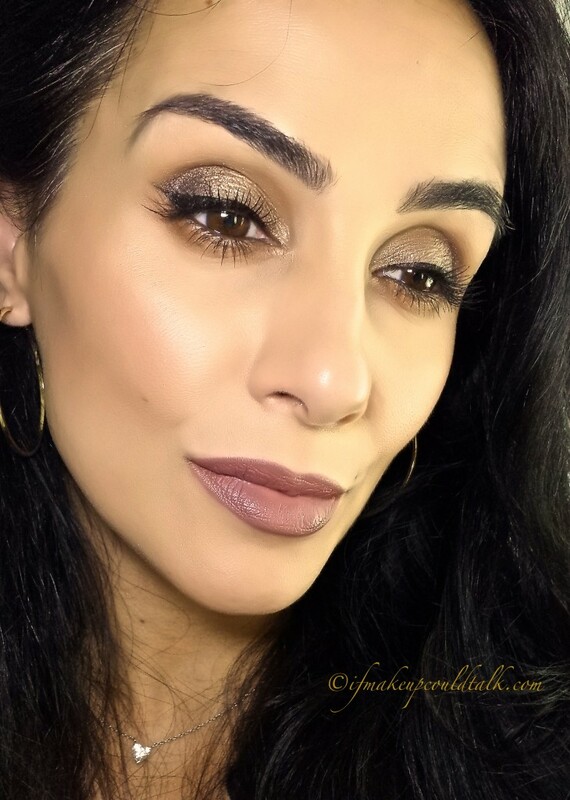 I declare LM Sandglow to be my favorite shade for quick and polished results–truly ideal for busy moms. 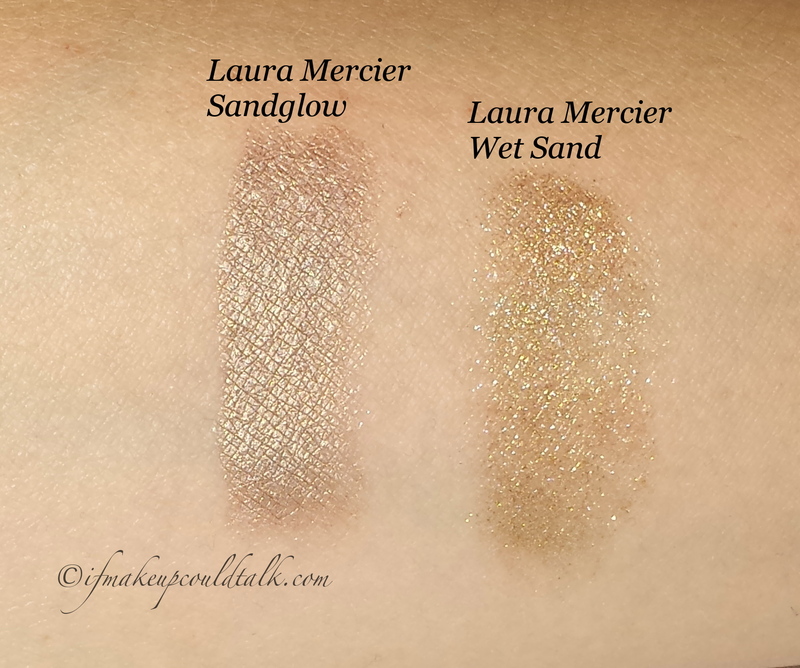 Laura Mercier Eye Glace (reviewed here) is used to jazz up any eyeshadow. The sparkling gel formulation can be used instead of messy glitter pigments. Naturally, Wet Sand is my go-to shade, I find it pairs beautifully with every eyeshadow in my collection. The best part is, once the gel dries (5-10 seconds) it does not budge. 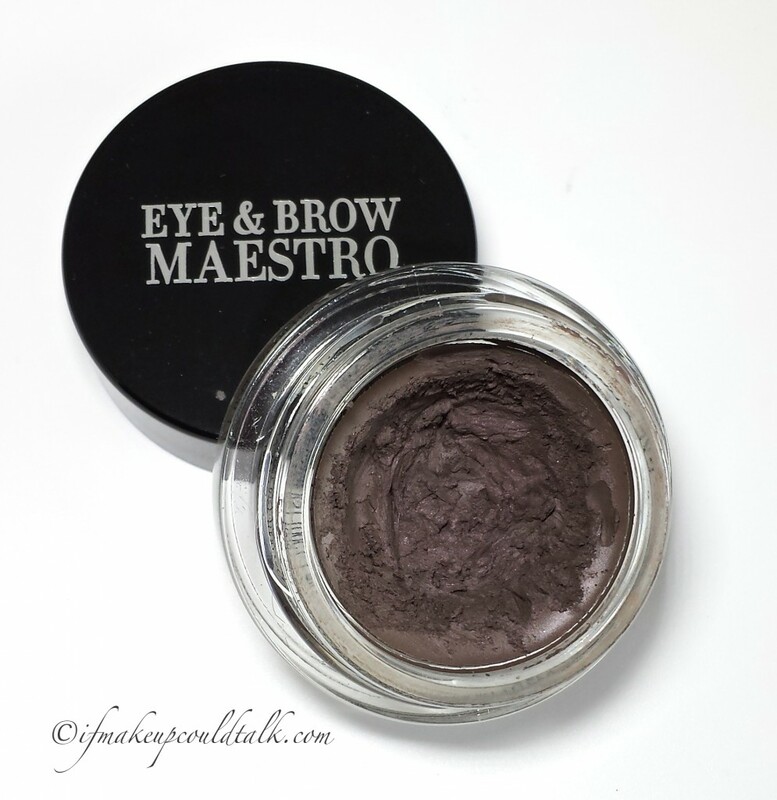 Giorgio Armani Eye and Brow Maestro 2 Wenge Wood (reviewed here) is my eyebrow color of choice. As you can see, this pot has been well loved, but sadly the remaining product is starting to dry out. I hear coconut oil is great for restoring gel liners, hopefully the same can be said for this color–I’ll keep you posted. Sephora Collection Lip Last in 04 Brown is Back (reviewed here) is worn on most days. The effortless matte finish, neutral color and long-wearing aspect make this one of the best lipsticks in my collection. For those of us with lipstick feathering issues, this formula applies smoothly and sets within a minute for non-transferable results. 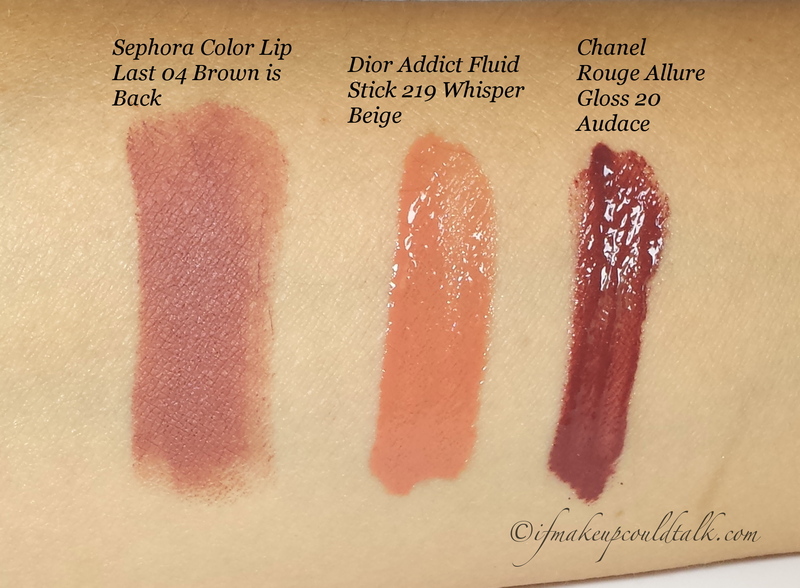 If matte finishes are not your thing, Dior Addict Fluid Stick in 219 Whisper Beige or Chanel 20 Audace Rouge Allure Gloss are great complimentary gloss shades to add on top. Pomellato Nudo Garnet Ring is my newest baby. My husband generously gifted me this ring for my birthday this year. This makes a great statement ring, I prefer to wear it alone or paired with my other Nudo ring. Should you find yourself at their retail location in New York (64th Street and Madison Ave), ask for Marylu, she is helpful and genuine. 2 inch Gold Hoops are simple and easy to wear. They pair beautifully with every outfit and for any occasion. Diamond Heart Solitaire is one of my most treasured pieces. I received several emails inquiring about the designer and retail location. This piece was custom-made and given to me, by my husband, to commemorate the birth of our second child. I find the simple design pairs well with any other metal and can be worn with any outfit. Wearing all my Current Favorites mentioned above. 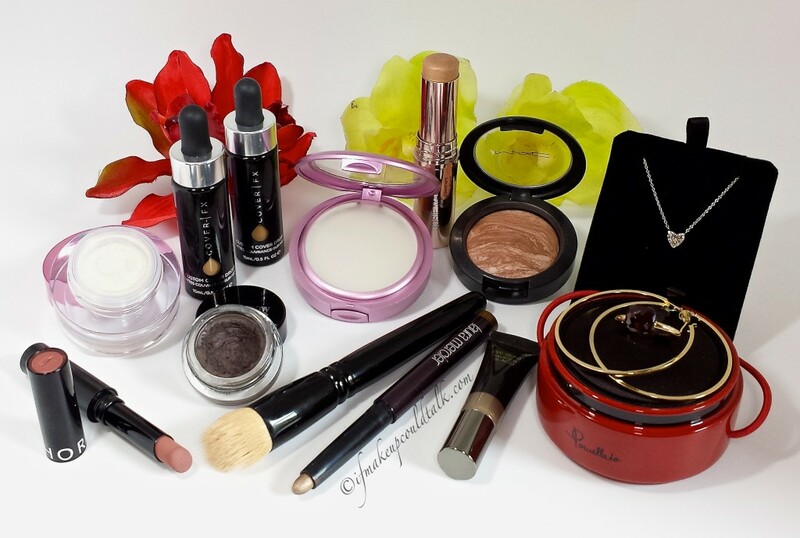 Makeup would tell you these products have proven themselves to be outstanding during these warm summer days. What have been some of your current favorites? Until next time, be well, stay safe and be happy.